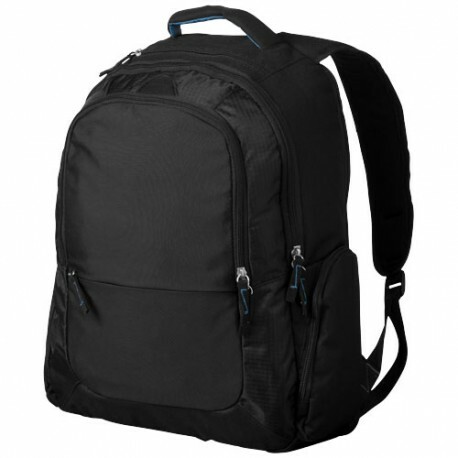 DayTripper 16" laptop lightweight backpack. 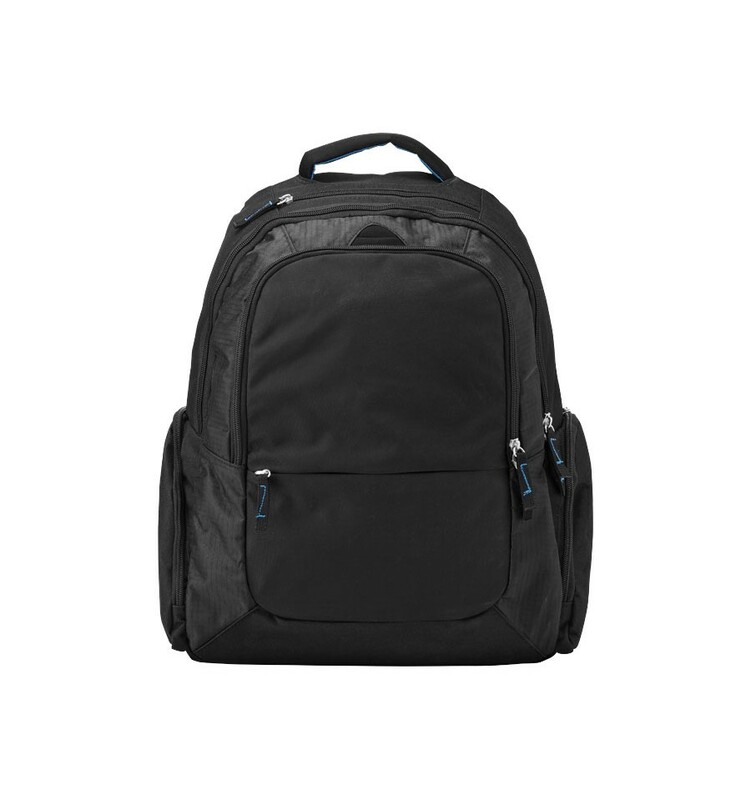 Dedicated computer pocket that keeps laptops up to 16" safe and secure with side entry access. 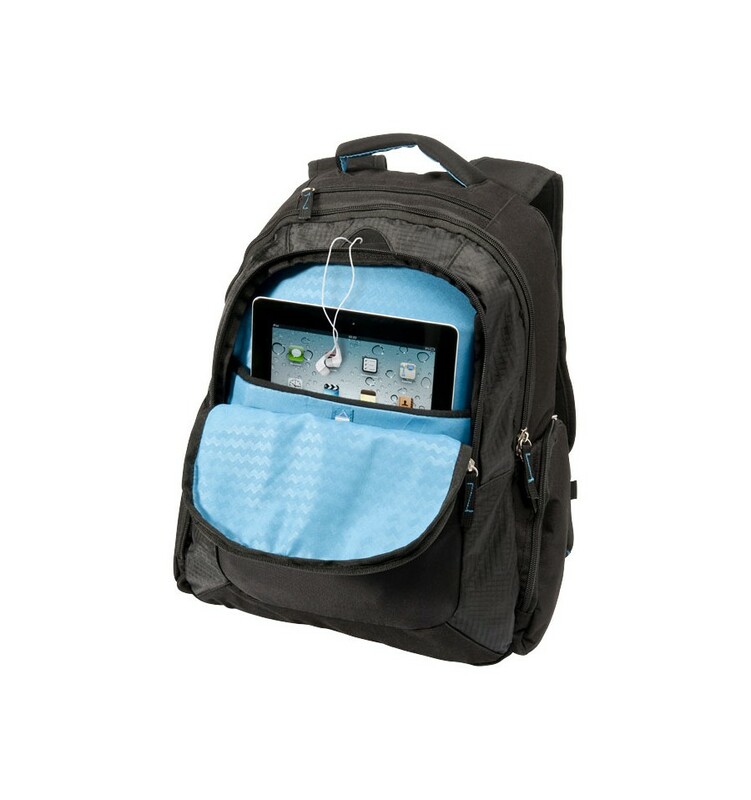 Open main compartment includes a dedicated zippered nylex-lined padded iPad pocket. Zippered top pocket with organization panel and earbud port access. 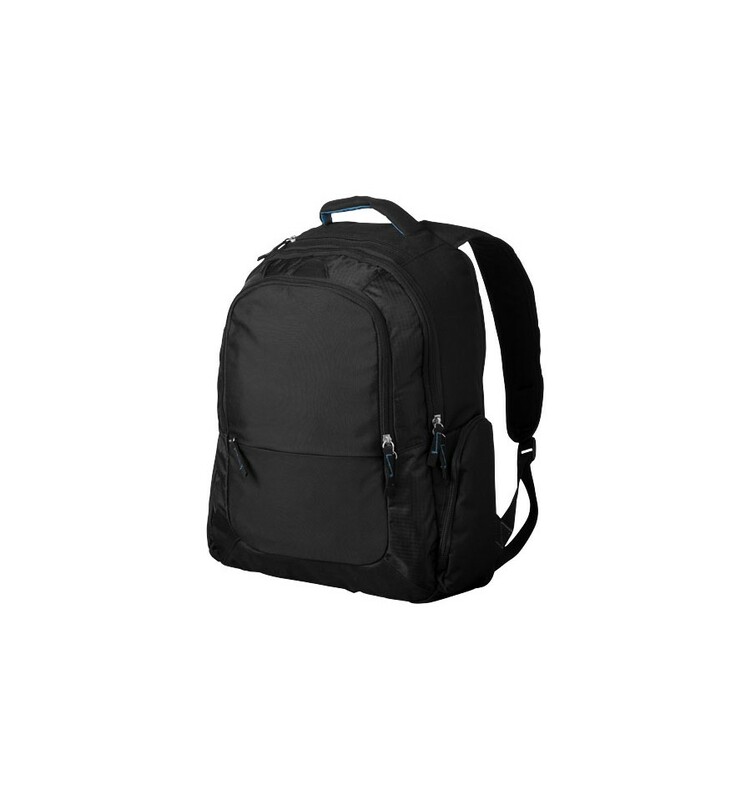 Zippered lower front and side pockets. Moulded EVA back for ventilation. Padded straps with smart phone holder. Back panel designed to slip over trolley handles. Packed in an Avenue gift pouch.